As you may well have seen, Social Media has mainly been used to market business online in order to gain more leads and untimately sales. However, there has been an increasing trend to use Social Media platforms as a Customer Service tool to engage with customers. Thanks to oursocialtimes for a great article showing how the different social platforms are performing in the Social Customer Service space. Looking for a social CRm solutions that will drive leads/sales as well as keep you plugged into Social Customer Service to your customers? Then why not try out Nimble for 30 days, FREE. Are you unhappy with your current IT Support or IT Service provider? Many SMME and SME companies do not have an official IT department in place and this function is normally run by non-IT staff. If this function is outsourced is primarily serviced by a junior ‘clicker’ or a IT Service Provider that is over charging and under delivering for IT Services without allowing the SME to understand what exactly has been done. Traditionally speaking, a closed book approach is often used making the SME dependent on their outsourced IT support. These IT providers get away with this as the SME is often too busy trying to run their business. Green Apple IT (GAIT) provide our clients this service with a reporting function allowing our clients to be educated at the same time. With no additional cost to company, we believe that by educating an internal resource reduces the smallish IT niggles e.g. basic desktop / user error, printer set up etc which would normally be deducted from the standard industry hourly support fee. 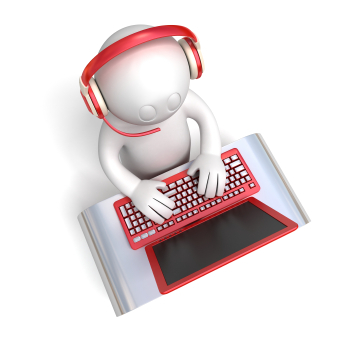 Call centres run on specific software that in most cases does not require expensive desktop & servers to run. Simplify setup by virtualizing your call centre environment. Desktop support when you need it most by someone that actually knows how to help, remotely without you having to wait. When you need that friendly face, helping you through the frustrations you may be facing, we will assist. 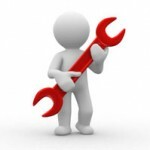 Preventative maintenance to look after the most important IT hardware in your business. What would all of this be with out structured management of the service? Best practices in the IT industry ensure that you and your business interests.